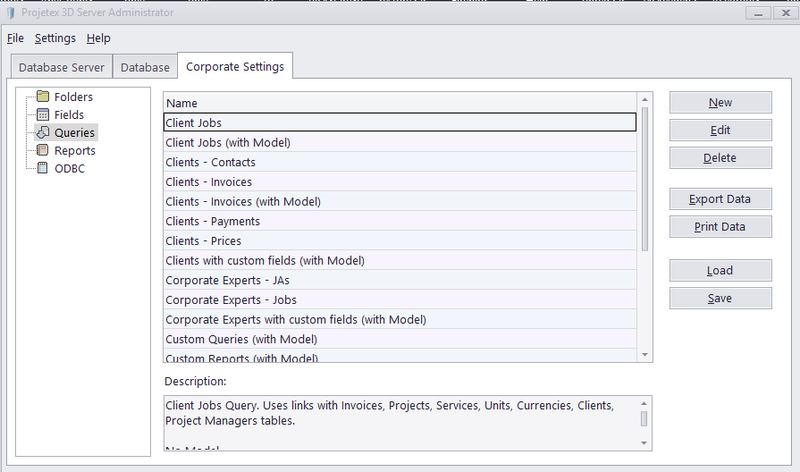 Question: How can I export the full client list from Projetex? Answer: We have prepared a query for you, which will extract client information from the Projetex database. Please copy the code to the clipboard, then open the Projetex Server Administrator, proceed to the "Corporate Settings" - "Queries" tab, click "New" and paste the code into the "Content" field. Please name the query "Clients - List" (or similar) and click OK.
Then highlight the query, click "Export Data", choose the file format and save the file.